Merredin is the largest regional centre in the eastern Wheatbelt, around three hours drive east of Perth and west of Kalgoorlie on the Great Eastern Highway. An alternative route is via Toodyay and Goomalling along the Pioneers’ Pathway or via York, Quairading and Bruce Rock. Two hours to the south is Wave Rock at Hyden. The Golden Pipeline Heritage Trail also includes Merredin and is a scenic and historic route based on attractions adjacent the Great Eastern Highway. A thriving business centre, Merredin has all the major services of a commercial centre with banks, ATM’s, a chemist, hospital and doctors and a variety of shopping experiences. With picnic areas and parks with walking trails, a wide range of accommodation and cafes, it is an ideal base for those exploring the sights of the Wheatbelt. The town is serviced daily by the Transwa Prospector and the Merredin Link passenger train also runs on a Monday, Wednesday and Friday. Experience the Aboriginal Culture of the area through a Njaki Njaki Aboriginal Cultural Tour or take a Merredin Town Tour by Discover the Wheatbelt to learn about Merredin’s history and development. Attractions include Merredin Peak and Tamma Parkland where you can enjoy bush and rock walks. 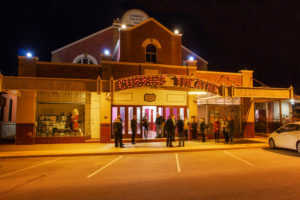 The Cummins Theatre, historic buildings, the longest grain storage facilities in the Southern Hemisphere, and the remains of many military installations from the town’s role as a line of defence during World War II are other attractions. Wildflowers and granite rocks sites add to the attractions of the area. 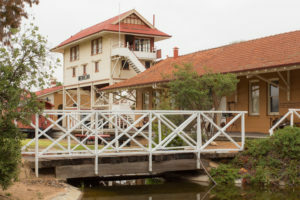 Enjoy historic and bush walking trails, shopping and visiting the Railway and Military Museums. 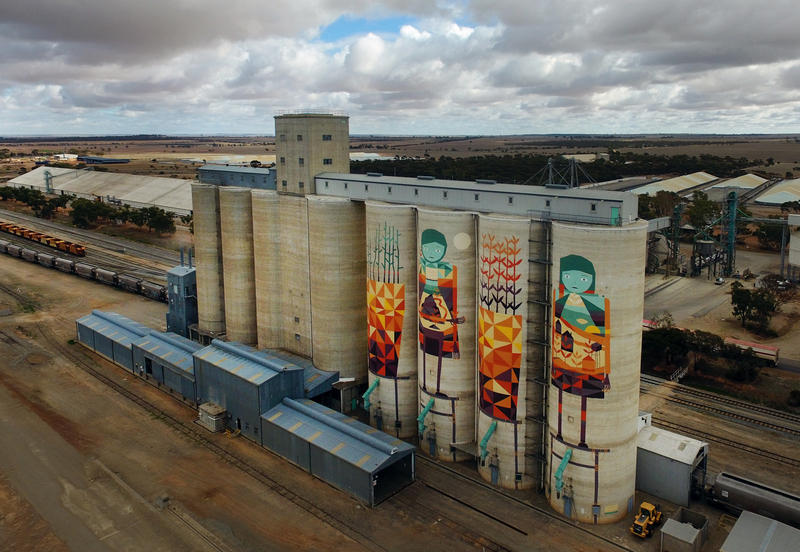 Merredin is now part of the FORM Public Silo Trail where giant murals by famous street artists provide an outdoor gallery celebrating and linking the state’s regions. Urban artist Kyle Hughes-Odgers transformed 4 of the 8 concrete silo cells at CBH Merredin. Accommodation includes hotels, motels, bed and breakfasts and a caravan park with van sites and chalets.